A Couple in the Kitchen: Cans Get You Cooking! Our favorite grocery store, Big Y, partnered with CansGetYouCooking.com to sponsor a recipe contest. 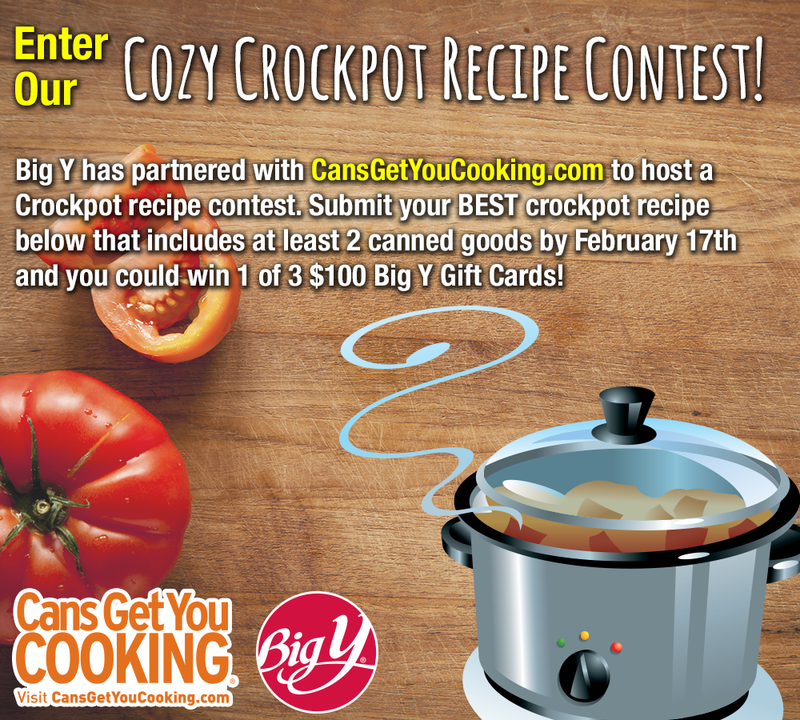 The "Cozy Crockpot Recipe Contest" required that you submit your best crockpot recipe using at least two canned goods. We entered our Slightly Smoky Ham and Bean Soup (which uses canned tomatoes, canned chicken stock and two types of canned beans) and we won! Hurrah! Click here for the easy to make, light-on-the-wallet, hearty soup recipe. Three Day Cassoulet, or "Project Cooking"